Stockholm is from Atlanta, Georgia and play a slightly mature version of pop punk that at first reminded me of a band like Lifetime. After the first track though the band slows things down and carry a more mid tempo power pop feel. The production has a bit of an unpolished feel, but still comes across extremely clear. There seems to be two vocalists trading off, both with having a pretty clean melodic voice, but avoiding any nazzle twang that this music is sometimes prone to. The guitars have a nice sound that seem to compliment each other. "Crawl" opens the record off and is a bit deceiving due to it's fast pace. The three tracks after remain in more of a mid tempo neighborhood, delivering something like later Get Up Kids. They return back to their fast pop punk signature on their last track "Lost Cause". 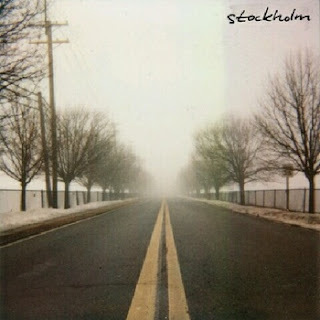 If you find yourself a fan of the 90's emo bands like The Get Up Kids, Texas Is The Reason, etc, then you'll probably find Stockhom to work pretty well for your tastes.